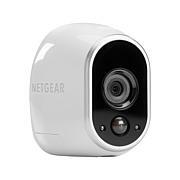 Stay in touch with what's happening no matter where you are with this wireless security system. Easy to set up, it monitors your location's interior and exterior premises with four high-definition cameras. Connect them to the free Arlo mobile app and save up to seven days of video footage to the cloud. 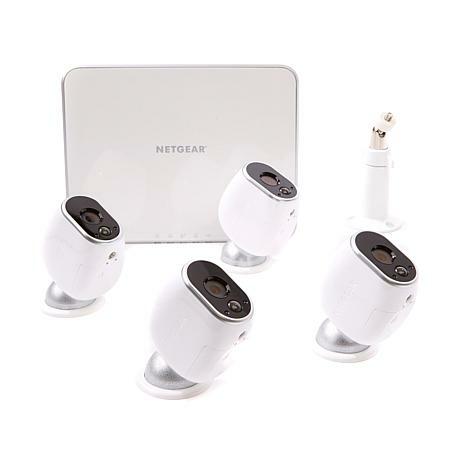 Whether you want to keep an eye on your pets, check in with the kids or just gain peace of mind about the activity in and around your home, this camera quartet makes sure every angle is covered. Easy setup but when it was time it change batteries i found out they are not rechargeable. Otherwise we love our Arlo. 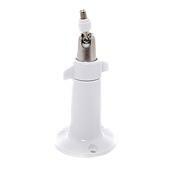 Apart from the fantastic value this product really delivers excellent quality video. Its also the lowest priced quality product on the market. I think this camera is pretty nice; no monthly charges. You can see from your phone if anyone is on your property; saves your pictures! One of the best outdoor camera. it captured every movement. Even at night time. If you looking for a camera, Let me tell you this is the best. 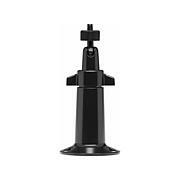 Easy to Install, Wireless, Excellent video, very clear, even at night with the night vision. No need to subscribe to a service where you pay a monthly fee. Must have a smartphone to use the app, which my husband has the newest i phone so no problem here. Alerts you whenever it detects any activity. Keeps video feed for 7 days on phone. This is by far the best system on the market and I have researched them all. This is the best investment you will make. Catch the thief's and have proof.